FN’s source as reported reached out to Funke’s publicist after reading the Facebook message, and they confirmed that the two have indeed gone their separate ways. They’ve actually been having issues for a while now and Funke had actually been planning to divorce him quietly, but he decided to make it public. 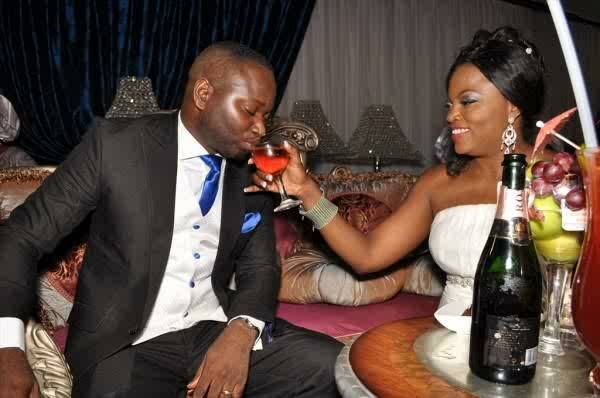 Funke Akindele also recently changed her BB name from Mrs Funke Akindele Oloyede to Everybody loves Jenifa. Funke and Kehinde got married on Saturday May 26th 2012. I’m really amazed by hearing this sad news from this couple, may almighty allah lead u guy through ur life .